Indymedia recently listed supporters of the October 17th Anti Poverty Day. They were the; NZ Council of Trade Unions; National Council of Women New Zealand, Fale Lalaga Pacific Island Women’s Health; Jeanette Fitzsimons and Russel Norman - Green Party of New Zealand; Child Poverty Action Group Aotearoa New Zealand; Pukapuka Community Trust; Waiata Trust; Bruce Hucker, Deputy Mayor of Auckland; Reverend Mua Strickson Pua - Presbyterian Church; Radical Youth; AIL: Marilyn Kohlhase; Global Peace and Justice Auckland, Auckland Women’s Centre, Tuvalu Christian Church West Auckland, The Salvation Army Policy Unit. I was not surprised that socialists like Jeanette Fitzsimons and Russell Norman would support this leftist campaign. Bruce Hucker was no shock, nor was Mua Strickson Pua, a former Polynesian Panther hangaround and Green Party candidate. I was however surprised to see Marilyn Kohlhase on the list. Marilyn Kohlhase is very respectable these days. She is a member of the board of Creative New Zealand. She is a management consultant and staff trainer for clients such as the Ministry of Education, Tongan Ministry of Finance, Sheraton Hotels, Air New Zealand and the University of Auckland, the Graduate School of Government and Business (Victoria University), Department of Social Welfare, Television New Zealand, Carter Holt Harvey, State Services Commission and Children Young Persons and their Families Service. She has been involved in the New Zealand Institute of Personnel Management, New Zealand Institute of Management, Pacific Island Chamber of Commerce, Auckland City Council Partnership Committee, Arthritis Foundation Pacific Islands Executive, JR Mckenzie Building Pacific Organisations Committee and the Western Springs College Pacific Student Mentor Programme. Kohlhase has also been in recent years a member of National Advisory Committee on the Employment of Women and has served as a trustee of Womens Health Action. Marilyn Kohlhase is clearly a hard working and influential woman, but what is her background? Kohlhase was educated at Waikato University where she earned a Bachelor of Social Sciences in 1974. The next few years were spent working for the Marxist controlled "aid" agency, CORSO, where she was a youth education officer from 1974 to 1977. 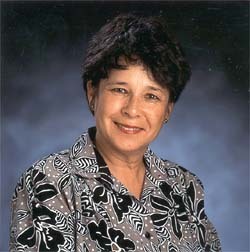 In 1978 as Auckland District chairperson of CORSO, she Toured Fiji, Western Samoa, Tonga and the Solomons, under the auspices of another Marxist controlled body, the NZ Coalition for Trade and Development, to study the effect uncontrolled trawling, foreign fishng companies, industrial pollution and lack of fishermen's organisations might have on developing countries after the declaration of 200 mile economic zones. In 1979 Kolhlase was member of CORSO's National Council, where she worked alongside Graeme Whimp, a senior member of the pro-Soviet, Socialist Unity Party. The same year she was a laiason officer with the Workers Educational Association and from 1980 was an administration assistant for the University of Auckland's Centre for Continuing Education. In June 1981 Kohlhase was elected national convener of the Working Women's Council at its annual conference in Christchurch. Most officials of the Council were members or supporters of the Socialist Unity Party or the Socialist Action League. By 1982, Kohlhase was a confirmed member of the SUP, attending the Party's 6th National Conference held in Auckland. She was quoted in the SUP's "Tribune"... "what are the issues that are important to NZ women in 1982? I believe they are changing constantly. We must make sure that the SUP has its finger on the pulse." Kohlhase was active in the SUP for several years. In October 1983 she was elected to the SUP's Auckland Regional Committee. She later became Vice-chairwoman of the Auckland region of the SUP. She was still writing for Tribune as late as March 1986. From 1983 to 1987 Kohlhase was National Training officer for the Engineers Union and also served on the Trade Union Training Board Liaison Committee. Kohlhase assisted in preparing the report that led to the establishment of the Trade Union Education Authority,(a taxpayer funded front for the SUP) and did TUEA subsidised "education" for the Engineers Union. In 1987 Kohlhase moved into a very influential job with the Public Service. She became Equal Employment Opportunities unit manager, for the State Services Commission, the government's senior employment agency. She was EEO project leader on the Commission for Employment Equity, Pacific Islands and ethnic minorities EEO co-ordinator and managed a team of four EEO advisors to re-establish EEO at the State Services Commission. She also managed a national team of consultants to investigate EEO progress in the private, public, local government, health, education and SOE sectors. Kohlhase's work led to the publication of a report "Into the 90s". "Foundation member of the EEO unit that pioneered EEO in NZ public sector at time of massive restructuring. " Focussed on developing an understanding of Pacific Island and ethnic issues among managers and departmental EEO co-ordinators. Set up nationally linked PI networks across Departments. Maintained close involvement in the PI senior management development programme. Ran the first career development courses for PI public servants Equal Opportunities. Kohlhase worked as EEO Officer for Minority Groups for the SSC until 1992 when she moved to Auckland City Council to become their Employee Development Manager. In 1994, she became a self employed management consultant, among other things delivering EEO training to Auckland local government, TVNZ etc. In the late '90s Kohlhase was involved in Teuila Consultancy group, which influenced the content of B(Ed) teacher training in NZ. From 1999 to 2001 she was a management specialist for a three year programme to help the government of Tonga improve the performance of it's SOEs. This was paid for by the NZ Ministry for Foreign Affairs and Trade. In 2002 Kohlhase was chair of the Pacific Arts Committee of Creative NZ, which gave $5000 to Reeds Publishing towards a history of the Polynesian Panthers, a radical Marxist oriented group active in the 1970s. Core Council Business, or "Sewage Socialism"? Latin America's Most Dangerous Revolutionary?